Home defence, training and deception. The 76th Infantry Division of the British Army was raised during the Second World War to defend the Norfolk coast against a possible German invasion, before being transformed into a training division in late 1942. New recruits to the Army were assigned to the division to complete their training. Once fully trained, the recruits were allocated to formations fighting overseas. The formation was used as a source of reinforcements for the 21st Army Group, that was fighting in Normandy. 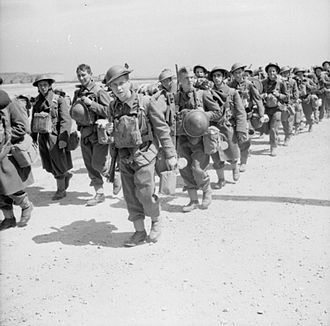 After all available British army troops left the United Kingdom for France, the division was disbanded in September 1944. In addition to the actual formation, a phantom 76th Infantry Division was formed for deception. The phantom division was part of the notional British Fourth Army, to be used for the fictitious Operation Trolleycar. 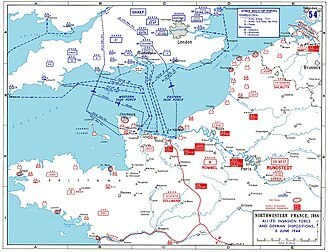 This operation aimed to deceive the Germans into believing that an Allied landing would occur along the northern German coast. 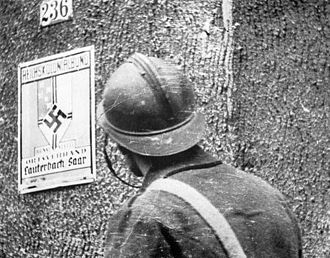 While the deception effort was not a complete success, it managed to divert German attention to the northern flank for the remainder of the war. 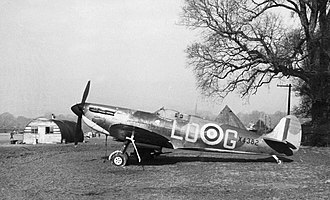 In the early stages of the Second World War following the Battle of France in 1940, the United Kingdom was under threat of invasion from Germany but during the summer, the Battle of Britain dampened this threat. As the year progressed, the size of the British Army increased dramatically as 140 new infantry battalions were raised. In late 1940, with the possibility of a German invasion during 1941, these new battalions were formed into independent infantry brigades that were then loaned to newly created County Divisions. 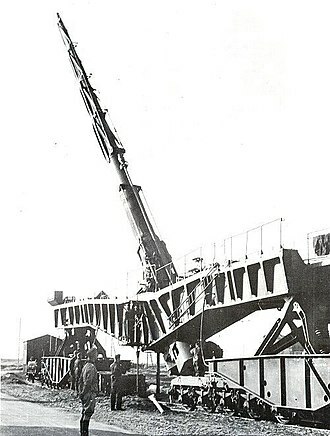 The County Divisions, including the Norfolk County Division, were around 10,000 men strong and assigned to defend the coast of threatened sections of the country, undertaking defensive tasks including the manning of coastal artillery. These divisions were largely static, lacking mobility and also divisional assets such as artillery, engineers and reconnaissance forces. Using the new formations in this manner allowed the pre-war regular infantry divisions to undertake training and form an all-important reserve that could be used to counter-attack any possible German landing. During the war, the divisions of the British Army were divided between "Higher Establishment" and "Lower Establishment" formations. The former were intended for deployment overseas and combat, whereas the latter were strictly for home defence in a static role. On 18 November 1941, the Norfolk County Division was abolished and reformed as the 76th Infantry Division, a "Lower Establishment" division. The division, like its predecessor, comprised the 213th, the 220th and the 222nd Infantry Brigades. That day, the division was assigned artillery, an anti-tank regiment, engineers and signallers; reconnaissance troops joined the division in January 1942. The paper strength of an infantry division at this time was 17,298 men. Major-General William Maingay Ozanne, who had commanded the Norfolk County Division since its inception, retained command of the division. The 76th Division was assigned to II Corps and maintained its previous mission of defending the Norfolk coastline. The Imperial War Museum comments that the division insignia, a "red Norfolk wherry, under sail", underscored "the association of the Division with Norfolk". After the division became a training formation, the insignia was only worn by the permanent division members. The division was involved in establishing the ability of the Abwehr (German military intelligence). A German-published order of battle of the British army based within the United Kingdom, dated 10 April 1942, was captured. This document included the division and had a near perfect listing of its subordinate units, with one exception. Rather than including the 1st Battalion, Leicestershire Regiment, the Germans believed the 18th Battalion, Welch Regiment had already replaced it. 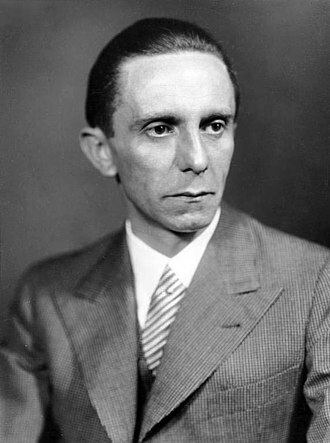 This and similar errors led the British to understand the capability of the Germans to intercept wireless communications in the United Kingdom. 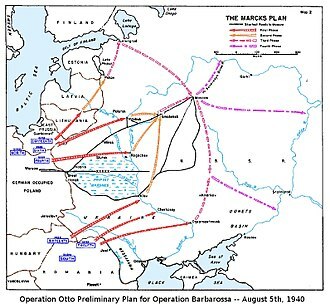 In 1943, this, in part, led to the Operation Fortitude a plan to exploit the German ability and deceive their intelligence community about future Allied operations like Operation Overlord. A Bren Gun team train at Eastern Command's Battle School, 1942. During the winter of 1942–43, the army overhauled the training of recruits. The 76th Division, along with the 48th Infantry and 77th Infantry divisions, was changed from a "Lower Establishment" unit to a "Reserve Division". On 20 December, the division was renamed the 76th Infantry (Reserve) Division, becoming a training formation in the process. These three divisions were supplemented by a fourth training formation, the 80th Infantry (Reserve) Division, which was raised on 1 January 1943. The 76th Infantry (Reserve) Division was assigned to Eastern Command, and moved to Norwich. Soldiers who had completed their corps training, were sent to these training divisions. [b] The soldiers were given five weeks of additional training at the section, platoon and company level, before undertaking a final three-day exercise. Troops would then be ready to be sent overseas to join other formations. Training was handled in this manner to relieve the "Higher Establishment" divisions from being milked for replacements for other units and to allow them to intensively train without the interruption of having to handle new recruits. For example, the 9th Battalion, Dorsetshire Regiment provided recruits to other battalions within the regiment as well as the Royal Norfolk Regiment. 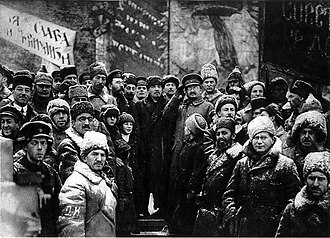 During this period, command of the division changed several times. On 21 December 1943, Ozanne was replaced by Major-General Colin Callander who in turn was replaced by Major-General John Edward Utterson-Kelso on 13 March 1944. On 30 June 1944, the 76th Infantry (Reserve) Division, along with the other training divisions, had a combined total of 22,355 men. Of this number, only 1,100 were immediately available as replacements for the 21st Army Group. [c] The remaining 21,255 men were considered ineligible for service abroad, due to a variety of reasons, ranging from medical, not being considered fully fit or not yet fully trained. Over the following six months, up to 75 per cent of these men would be deployed to reinforce the 21st Army Group, following the completion of their training and having met the required fitness levels. Stephen Hart comments that, by September, the 21st Army Group "had bled Home Forces dry of draftable riflemen", due to the losses suffered during the Normandy Campaign, leaving the army in Britain, with the exception of the 52nd (Lowland) Infantry Division, with just "young lads, old men, and the unfit". On 1 September 1944, the division was disbanded. Utterson-Kelso assumed command of the 47th Infantry (Reserve) Division, which took over the role of the 76th Division. The creation of the fictitious division arose from an actual reorganisation of British forces. During 1944, the British Army was facing a manpower crisis. The army did not have enough men to replace the losses to front line infantry. While efforts were made to address this (such as transferring men from the Royal Artillery and Royal Air Force to be retrained as infantry), the War Office began disbanding divisions to reduce the size of the army and to transfer the surplus men to other units to help keep those as close to full strength as possible. The 76th Infantry (Reserve) Division was one of several "Lower Establishment" divisions in the United Kingdom, chosen to be disbanded. R Force, the Fortitude deception staff, seized upon this opportunity to retain the division as a phantom unit. A cover story was established to explain the change in the division's status. It was claimed that with the war nearing an end, several Territorial Army divisions would revert to their peacetime recruiting role and release their equipment and resources to other units. For the 76th, this was the 47th Division. With the transfer of equipment, the 76th was notionally raised to the "Higher Establishment" and assigned to reinforce the 21st Army Group. As a deception unit, the division was assigned to the bogus Operation Trolleycar. 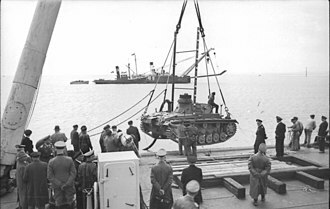 Trolleycar was initially envisioned as a fictitious amphibious assault upon the coast of the Netherlands, by the phantom British Fourth Army, to exploit the success of the authentic Operation Market Garden. When the Battle of Arnhem failed, the notional invasion plan was temporarily scrapped. Trolleycar was revived to convince the Germans that the Fourth Army would land near Emden, in support of an imaginary assault by the First Canadian Army, that would be launched west of Arnhem and through the Netherlands. The deception effort was kept up until 1945, being wound down in January. Despite the British ceasing their attempts to deceive the Germans about this possible landing and the Germans not believing all that had been reported to them, the Germans remained anxious about a landing along the northern coast for the remainder of the war. ^ The large intake of men into the army had considerably increased the infantry arm. The reforms intended to address this, with many of the newly raised battalions being "converted to other arms, particularly artillery and armour". In addition to this, historian F. W. Perry comments, there was considerable pressure "to increase the armoured component [of the army] and build up raiding and special forces". These pressures and the re-balancing of the military, resulted in seven of the nine County Divisions being disbanded and only two being reformed as infantry divisions. ^ Having entered military service, a recruit was assigned to the General Service Corps. He would then undertake six weeks' training at a Primary Training Centre and take aptitude and intelligence tests. The recruit would then be posted to a Corps Training Centre that specialized in the arm of the service they were joining. For those who would be joining the infantry, corps training involved a further sixteen week course. For more specialized roles, such as signallers, it could be up to thirty weeks. ^ a b c d e f g h i j k l Joslen 2003, p. 99. ^ Fraser 1999, p. 83. ^ a b c Perry 1988, p. 53. ^ Forty 2013, County Divisions. ^ Churchill 2001, p. 1321. ^ Joslen 2003, pp. 108 and 114. ^ Joslen 2003, p. 108. ^ Messenger 1994, p. 61. ^ a b Goldstein & McKercher 2003, p. 274. ^ a b c Perry 1988, p. 65. ^ Perry 1988, pp. 53–54. ^ a b Joslen 2003, pp. 99, 114. ^ a b Joslen 2003, pp. 130–131. ^ Kemp 1963, p. 253. ^ "badge, formation, 76th Infantry Division". Imperial War Museum. Retrieved 1 May 2015. ^ a b Hesketh 2000, pp. 5–7. ^ a b Perry 1988, p. 66. ^ Joslen 2003, pp. 77, 100. ^ Joslen 2003, p. 103. ^ "The 6th (Home Defence), 9th, 30th and 70th (Young Soldiers) Battalions The Dorsetshire Regiment in World War Two". The Keep Military Museum: Home of the Regiments of Devon and Dorset. Retrieved 15 May 2015. ^ Joslen 2003, p. 41. ^ Holt 2004, p. 923. ^ Hesketh 2000, p. 328. ^ Hesketh 2000, p. 329. ^ Hesketh 2000, p. 335. ^ Holt 2004, p. 643. ^ a b Joslen 2003, p. 376. ^ a b Joslen 2003, p. 383. ^ a b Joslen 2003, p. 385. Churchill, Winston (2001). Gilbert, Martin, ed. The Churchill War Papers: The Ever-Widening War. 3. New York: W. W. Norton & Company. ISBN 978-0-393-01959-9. Goldstein, Erik; McKercher, Brian, eds. (2003). Power and Stability: British Foreign Policy, 1865–1965. Diplomacy & Statecraft. London: Routledge. ISBN 978-0-71468-442-0. Kemp, Colonel J. C. (1963). The History of the Royal Scots Fusiliers, 1919–1959. Glasgow: Robert Maclehose. OCLC 1435011. A signaller or signaleer in the armed forces is a specialist soldier, seaman or airman responsible for military communications. Messages are transmitted and received via a communications infrastructure comprising fixed, in the past, signalling skills have included the use of, Aldis lamp, semaphore flags, Don R and even carrier pigeons. Modern signallers are responsible for the voice and data communication and information technology infrastructure. All types of wire and ionospheric radio communication are employed and these include common radio systems such as HF/VHF radio and UHF/SHF radio. Cellular radio and telephone systems such as TETRA are becoming common, station Organisation, Managing Radio Nets and Maintaining Net Discipline for example, map marking, log keeping etc. Electronic Warfare, Communications Security - including the encryption and deciphering of coded messages using paper/voice, the origins of this nickname are unclear. Signallers in Canada are responsible for the majority of radio, telephone, trained signallers of the rank of private in Canada are referred to as Sig as a replacement for private. The 52nd Infantry Division was an infantry division of the British Army that was originally formed as the Lowland Division, in 1908 as part of the Territorial Force. It became the 52nd Division in 1915, the 52nd Division fought in the First World War before being disbanded, with the rest of the Territorial Force, in 1920. After the war, the division was merged with the 51st Infantry Division in 1948, the history of the division was carried on by the 52nd Lowland Brigade, and the 52nd Lowland Regiment. The famous territorial regiments that were incorporated in the division were all drawn from the Scottish Lowlands and it consisted of three infantry brigades, the 155th Brigade, 156th Brigade, and 157th Brigades. Initially assigned to the defence of the Scottish coast, the moved to Gallipoli. While moving from Scotland the division suffered the loss of 210 officers and men killed, and another 224 injured in the Quintinshill rail crash, near Gretna, that involved the 1/7th Royal Scots. During the First World War, the fought at Gallipoli, in the Middle East. The division began landing at the Helles front, on the Gallipoli peninsula, the 156th Brigade was landed in time to take part in the Battle of Gully Ravine, where it was mauled, under the notorious Lieutenant-General Aylmer Hunter-Weston. Advancing along Fir Tree Spur, to the right of the ravine, the brigade suffered 1,400 casualties, or about half its strength, of which 800 were killed. When the remaining brigades were landed, they attacked towards Krithia, along Achi Baba Nullah and they succeeded in capturing the Ottoman trenches, but were left unsupported and vulnerable to counter-attack. For a modest gain in ground, they suffered 30 per cent casualties and were in no fit state to exploit their position, the division moved to Egypt as part of the Egyptian Expeditionary Force, where it manned the east-facing defensive fortifications during the Battle of Romani. 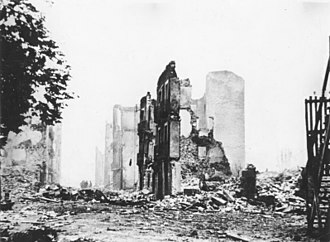 With insufficient water, the conditions proved too much for the infantry ordered to advance the following day and were not heavily involved in the fighting thereafter. The 48th Division was an infantry division of the British Army, part of the Territorial Force, originally raised in 1908. Originally called the South Midland Division, it was redesignated as the 48th Division in 1915, during the First World War, the division saw service on the Western Front before being transferred to the Italian Front in November 1917 and remained there for the rest of the war. 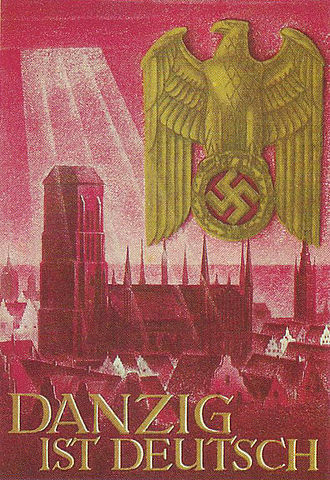 It was converted into a reserve division in late December 1942. 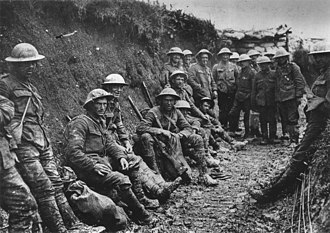 The division was not reformed again, in both world wars the division raised a 2nd Line reserve division, 61st Division in the Great War, and 61st Division in the Second World War. This task fell to Secretary of State for War, Richard Haldane who implemented several policies known as the Haldane Reforms, as part of these reforms, the Territorial and Reserve Forces Act 1907 created a new Territorial Force by merging the existing Yeomanry and Volunteer Force in 1908. This resulted in the creation of 14 Territorial Divisions, including the South Midland Division, as part of the legislation, the territorials were only liable to serve within the United Kingdom. In addition, Haldane saw the territorials as a source of reinforcements for the regular army, the 1910 edition of the Hazells Annual reported that in 1909, The South Midland Division. Had 13 units up to or over establishment, and the very little below it. 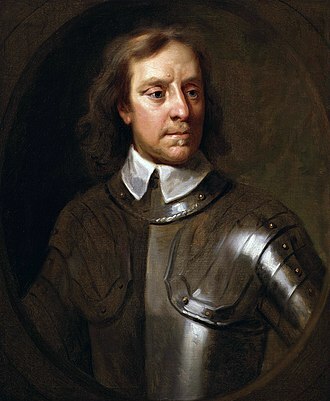 The following year, the Territorial Force as a peaked at a strength of 276,000 men,26,000 men short of the peacetime establishment set by Haldanes reforms. However, between 1910 and 1914, the strength of the force had declined to 250,000,52,000 short of the peacetime establishment. In August 1914, the South Midland Division departed for its summer training camp. 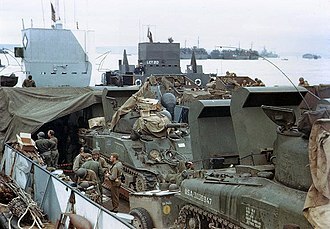 The 143rd Brigade, for example, departed for Rhyl in northern Wales, following the declaration of war, the division was mobilised and moved south to take up defensive positions along the southern coast. Due to German-invasion scares, the division-numbering 6,000 men-moved to Essex, while there was no invasion, the division remained in the area on defensive duties and to continue training. The Royal Norfolk Regiment was a line infantry regiment of the British Army until 1959. Its predecessor regiment was raised in 1685 as Henry Cornewalls Regiment of Foot, in 1751, it was numbered like most other British Army regiments and named the 9th Regiment of Foot. The Norfolk Regiment fought in the Great War on the Western Front, after the war, the regiment became the Royal Norfolk Regiment on 3 June 1935. Cornewall resigned his post following the Glorious Revolution and command went to Colonel Oliver Nicholas in November 1788, in December 1788 Nicholas was removed due to his personal Jacobite sympathies and command passed to John Cunningham. In April 1689 the regiment, under Cunningham’s command, embarked at Liverpool for Derry for service in the Williamite War in Ireland, Cunningham led a failed attempt to relieve the besieged city of Derry. The regiment briefly returned to England, but in May 1689 Cunningham was replaced by William Stewart, the regiment saw action at the Battle of the Boyne in July 1690, the Siege of Limerick in August 1690 and the Siege of Athlone in June 1691. It went on to fight at the Battle of Aughrim in July 1691, the regiment embarked for Holland in June 1701 and took part in the sieges of Kaiserswerth and of Venlo in spring 1702 during the War of the Spanish Succession. In March 1704 the regiment embarked for Lisbon and took part in the Battle of Almansa in April 1707 before returning to England in summer 1708, the regiment was based in Minorca from summer 1718 to 1746. The regiment was renamed the 9th Regiment of Foot in 1751 when all British regiments were given numbers for identification instead of using their Colonels name. During the Seven Years War the Regiment won its first formal battle honour as part of the expedition that captured Belle Île from the French in 1761. It sailed for Cuba with George Keppel, 3rd Earl of Albemarle in March 1762 and took part in the siege and subsequent capture of Havana in summer 1762. 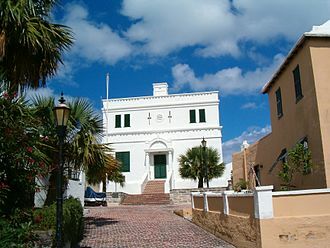 Following the signing of the Treaty of Paris in 1763 and the end of the war the regiment moved to a posting at St. Augustine in Florida, where it remained until 1769. Operation Sea Lion was Nazi Germanys code name for the plan for an invasion of the United Kingdom during the Battle of Britain in the Second World War. 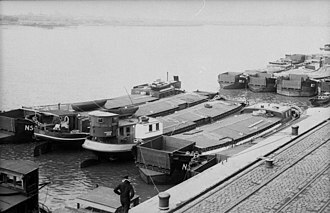 A large number of barges were gathered together on the Channel coast, Adolf Hitler hoped for a negotiated peace with the UK, and made no preparations for amphibious assault on Britain until the Fall of France. At the time, the forces with experience of, or modern equipment for naval landings were the Japanese. 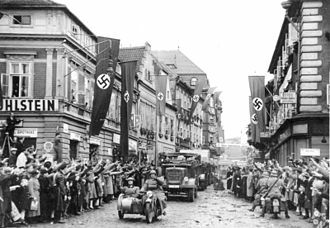 In September 1939, the German invasion of Poland was a success, on 9 October, Hitlers Directive No. 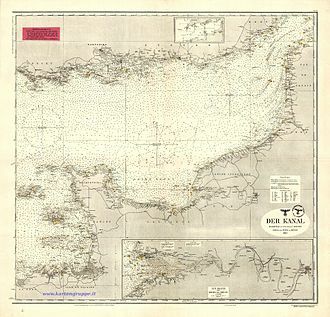 Reinicke spent five days on this study and set forth the following prerequisites, Eliminating or sealing off Royal Navy forces from the landing, destroying all Royal Navy units in the coastal zone. Preventing British submarine action against the landing fleet, the OKW considered the options and Hitlers 29 November Directive No. This directive remained in force in the first phase of the Battle of Britain, in December 1939, the German Army issued its own study paper and solicited opinions and input from both the Kriegsmarine and Luftwaffe. 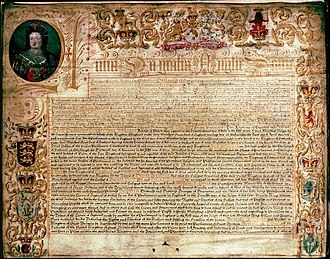 The paper outlined an assault on Englands eastern coast between The Wash and the River Thames by troops crossing the North Sea from ports in the Low Countries. The Kriegsmarine response was focused on pointing out the difficulties to be surmounted if invading England was to be a viable option. It could not envisage taking on the Royal Navy Home Fleet, Reichsmarschall Hermann Göring, head of the Luftwaffe, responded with a single-page letter in which he stated, combined operation having the objective of landing in England must be rejected. It could only be the act of an already victorious war against Britain as otherwise the preconditions for success of a combined operation would not be met. Germanys swift and successful occupation of France and the Low Countries gained control of the Channel coast, on 21 May 1940 Raeder met Hitler and raised the topic of invasion, but warned of the risks and expressed a preference for blockade by air and surface raiders. 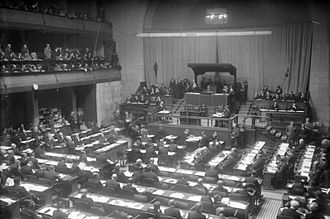 British parliamentarians still arguing for peace negotiations were defeated in the May 1940 War Cabinet Crisis, in a report presented on 30 June, the OKW Chief of Staff Alfred Jodl reviewed options to increase pressure on Britain to agree to a negotiated peace. 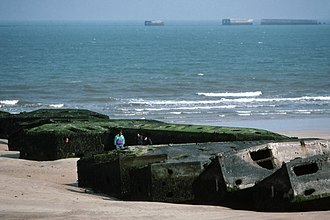 Operation Fortitude was the code name for a World War II military deception employed by the Allied nations as part of an overall deception strategy during the build-up to the 1944 Normandy landings. Fortitude was divided into two sub-plans and South, with the aim of misleading the German high command as to the location of the imminent invasion, both Fortitude plans involved the creation of phantom field armies which threatened Norway and Pas de Calais. Fortitude was one of the elements of Operation Bodyguard, the overall Allied deception stratagem for the Normandy landings. Bodyguards principal objective was to ensure the Germans would not increase troop presence in Normandy by promoting the appearance that the Allied forces would attack in other locations, after the invasion the plan was to delay movement of German reserves to the Normandy beachhead and prevent a potentially disastrous counter-attack. Fortitudes objectives were to promote alternative targets of Norway and Calais, the planning of Operation Fortitude came under the auspices of the London Controlling Section, a secret body set up to manage Allied deception strategy during the war. However, the execution of each fell to the various theatre commanders. A special section, was established at SHAEF to handle the operation, the LCS retained responsibility for what was called Special Means, the use of diplomatic channels and double-agents. Fortitude was split into two parts and South, both with similar aims, Fortitude North was intended to convince the German high command that the Allies, staging out of Scotland, would attempt an invasion of occupied Norway. Fortitude South employed the tactic, with the apparent objective being Pas de Calais. Fortitude planning was ostensibly the responsibility of Noel Wild and his Ops staff, however, in practice the work was shared between Wild and the heads of the LCS and B1a. Work began in December 1943, at first under the codename Mespot, prime Minister Winston Churchill judged this unsuitable and so the Fortitude name was adopted on February 18. Wilds first version of the Fortitude South plan was produced in early January 1943, the Fortitude South plan would be implemented, at an operational level, by the invasion force—the 21st Army Group under the command of General Bernard Montgomery. 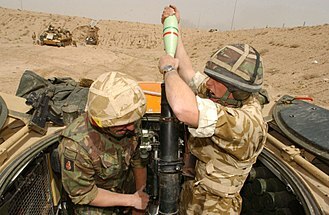 A military exercise or war game is the employment of military resources in training for military operations, either exploring the effects of warfare or testing strategies without actual combat. This serves the purpose of ensuring the readiness of garrisoned or deployable forces prior to deployment from home base / home station. Exercises in the 20th and 21st centuries have often identified by a unique codename in the same manner as military contingency operations. The more typically thought of exercise is the exercise, or the full-scale rehearsal of military maneuvers as practice for warfare. In a field exercise or fleet exercise, the two sides in the battle are typically called red and blue, to avoid naming a particular adversary. This naming convention originates with the inventors of the table-top war-game, a Command Post Exercise typically focuses on the battle readiness of staffs such as a particular Unified Combatant Command or one of its components at any level. It may run in parallel with an FTX or its equivalent, other types of exercise include the TEWT, known as a sand table, map or cloth model exercise. This type of exercise allows commanders to manipulate models through possible scenarios in military planning and this is called warfare simulation, or in some instances a virtual battlefield and in the past has been described as wargames. Said forces may be different branches of the forces from one country or may be armed forces from different countries. These latter events incorporating multiple nations have often referred to as NATO exercises, Coalition exercises, Bilateral exercises, Multilateral exercises. The modern use of military exercises grew out of the military need to study warfare, during the age of Kabinettskriege, Frederick the Great, King of Prussia from 1740 to 1786, put together his armies as a well-oiled clockwork mechanism whose components were robot-like warriors. No individual initiative was allowed to Fredericks soldiers, their role was to cooperate in the creation of walls of projectiles through synchronized firepower. This was in the pursuit of an effective army. Disciplined troops should respond predictably, allowing study to be confined to maneuvers and these first wargames were played with dice which represented friction, or the intrusion of less than ideal circumstances during a real war. Welch Regiment Memorial, St. Mary's Church, Madras. Cap badge of the Dorset Regiment (1953–1958). King Peter II of Yugoslavia inspecting the Guard of Honour of a battalion of the Dorset Regiment in England. Men of the 5th Battalion, Dorsetshire Regiment climb into a Buffalo in preparation for crossing the Rhine, Germany, 28 March 1945. Cap badge of the Royal Norfolk Regiment. A 3.7 inch Mountain Howitzer of the 1st Mountain Artillery Regiment, Royal Artillery, attached to 52nd Division, on exercise at Trawsfynydd in Wales, sometime in 1942. The gun crew are wearing weatherproof anoraks, mountaineering breeches and woollen stockings. Stretcher bearers of the 1st Battalion, Glasgow Highlanders in France, 13 June 1940. Men of 'C' Company of the 4th Battalion, King's Own Scottish Borderers, move up to attack a pillbox, the Netherlands, 11 December 1944. A Universal Carrier of the 6th Battalion, Cameronians (Scottish Rifles) crossing the Dortmund&ndash;Ems Canal, Germany, 4 April 1945.